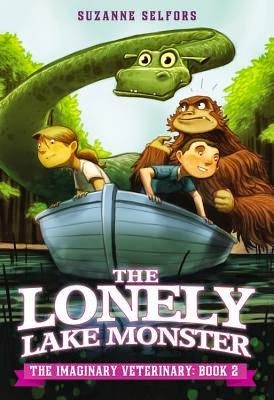 Reads All The Books: Mom Monday - The Lonely Lake Monster! This review comes courtesy of my 8 year old daughter Olivia. 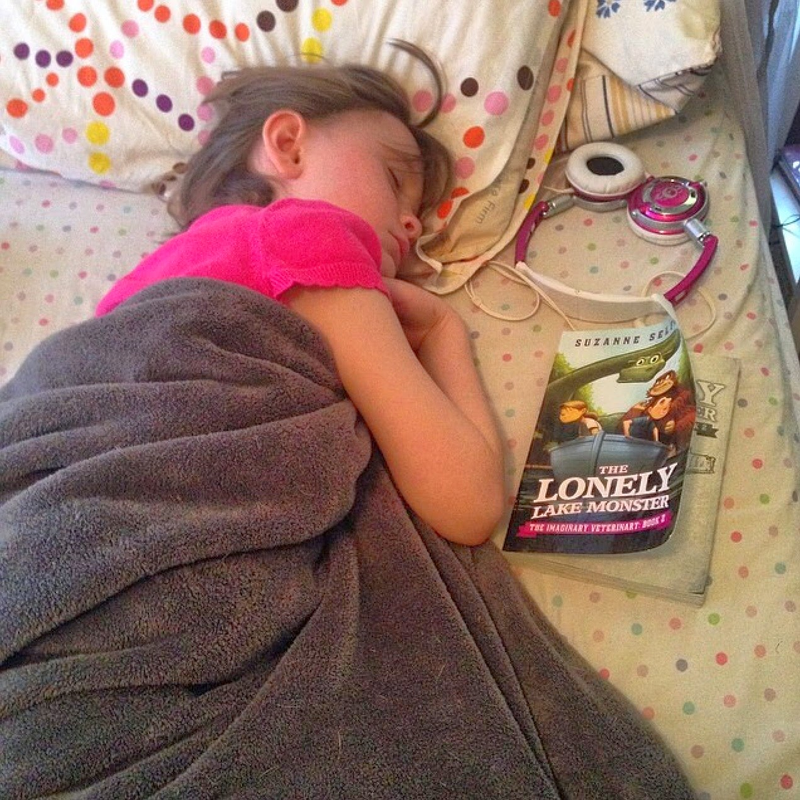 I was woken up a few mornings ago at about 12:30 am to "Mom, I finished my book, I just couldn't put it down!" This is how I found her at about 9:00 am the next day. The Imaginary Veterinary series, starting with book 1 The Sasquatch Escape, are the first books she has ever read entirely by herself so you can imagine that we have a rather special soft spot in our hearts for these books. That being said these are really fun and engaging books and if you have elementary aged children (especially those with an adventurous bent) in your home these are books that will be well received by everyone. At the end of the first book, The Sasquatch Escape, Ben and Pearl get the Sasquatch back to the Hospital for Imaginary Creatures and they get certificates for catching the Sasquatch. So now in The Lonely Lake Monster Ben and Pearl have become apprentices at a secret hospital that everyone just thinks is a worm hospital. On their first day Ben and Pearl are sent by Mr. Tabby, the mysterious helper who Pearl thinks is grumpy.
" Pearl didn't know Mr. Tabby very well, but from the short time she'd spent with him, she'd come to the conclusion that he was rather grumpy. What kind of teacher would he make? She opened her mouth to speak, and as she did, a low growl sounded in Mr. Tabby's throat. " "Pearl froze. "What is it?" She whispered. Ben? What are you pointing at?" "I...I...I don't know he stammered. "But it's...huge!" Ben gets taken away to Button Island and Pearl runs to find help. Unable to find anyone, Pearl had to figure out a way to help Ben herself. We hope you enjoyed Olivia's first book review, she may be making appearances from time to time, lending her mom a helping hand. If you'd like to pick up this or any of The Imaginary Veterinary Series here are your links and as always don't forget to add it to your Goodreads! I will be recommending this series to my 9 year old daughter. She is in 3rd grade and I think she will enjoy this series. Thanks Olivia for the review it was fabulous! !